This is one of the most innovative and fun theatres I ever dreamed up. Then I got to build it. It was called the Northrock 14. It originally was next door to the original Northrock theatres in Wichita, Kansas. The reversed style auditorium was a concept that came to me when I was at a workshop in a live performance theatre. As you can see the projector is in the center of the auditorium and has a large glass window showing off the equipment inside much like the old Imax theatres use to do. The auditorium is backwards in that the wide part of the room is at the front and the small end at the back. It isn’t a box. It’s also backwards from a conventional live theatre auditorium. You enter the auditorium from under the screen. I built a larger version of this type of complex in Tulsa, OK. Funny, John Hartley the past owner of Dickinson (bought it from me) built his Palazzo Theatre in south Overland Park, Kansas using the same type of design concepts then went ahead and took credit for the concept and design. In actual fact TK Architects worked with Dickinson and John was the construction manager. I spent hours poring over the plans trying to bring the concept to life. I never learned if this concept design had a place in Exhibition. That’s still a question but I had a lot of fun and really, the auditoriums were awesome. Huge screens and super sound systems. The complex was at 3151 North Penstemon Street Wichita, KS. The Northrock 14 Theatre at 29th and Rock Road is set to close as Dickinson Theatres Inc. has filed for Chapter 11 bankruptcy. The theatre has been leasing the space from Occidental Management after it sold the building in January. “It was not going to be a long-term tenant anyway, so, we’re just moving forward with our plans to convert the building into Class A office. It hasn’t impacted any of our plans or proformas for the building,” said Chad Stafford, president of Occidental Management. According to our news partners at the Wichita Business Journal, the Overland Park-based movie theater chain hopes to have a reorganization plan soon, but in the meantime will close theaters in Wichita, Oklahoma City and Blue Springs, MO. Another Dickinson location in Leavenworth recently closed. Northrock 14 customers were saddened by the news but said they expected the closure after seeing less attendance at the theatre. “It’s sad for the economy. It’s sad for the people who are working there. Sad for me ’cause I can’t come here to see a movie. I’ve got to go somewhere else. Most of the places are more expensive,” said Nancy Bye, customer. The theatre will like close its doors by the end of the year when their lease ends. 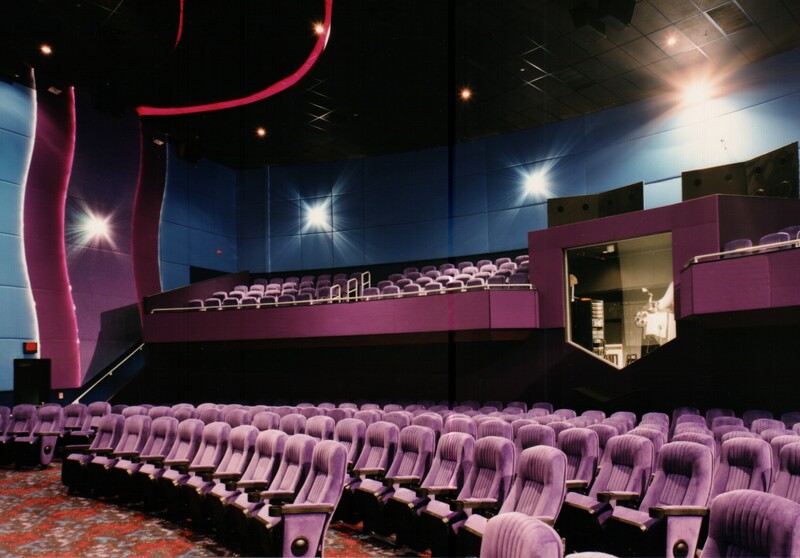 Dickinson Theatres currently operates 18 locations across 7 states. Wichita office developer has a contract to purchase the Northrock 14 Theatre, with plans to close the struggling movie house and develop 95,000 square feet of office space on two floors.Gary Oborny, CEO of Occidental Management, said he hopes to close later this spring on a cash deal for the theater, owned by Overland Park-based Dickinson Theatres. The theater will be the second building of what Oborny envisions as a 200,000-square-foot, three-building Class A office complex at 32nd North and Rock Road, including the company headquarters at 8111 E. 32nd St. North. That building, renovated in 2008, also was a Dickinson movie theater. Oborny said it has 6,000 of 84,000 square feet remaining. Tenants include Corporate Lodging. Plans call for a third building between the headquarters and the theater, with between 20,000 and 30,000 square feet of office space, Occidental president Chad Stafford said. “We’re next to Rock Road, next to K-96, so the convenience of getting here from 96 just to the north allows all our different employees, customers and vendors to really get here from anywhere in Wichita in 18 minutes,” Oborny said. He said he has several large tenants on the hook for the new office facility, including some interested in as much as 40,000 square feet. Lease rates should range between $19 and $20 per square foot, about $2 under the city’s going rate for Class A space. The theater’s closing date is up in the air, Oborny said, and will be tied to the purchase closing. No general contractor has been selected, but Wichita architect Ron Spangenberg of Spangenberg Phillips Tice Architecture will design the new facility. John Hartley, president of Dickinson, did not return telephone calls seeking comment. The market for Class A office space in Wichita is showing signs of life, said Stan Longhofer, director of Wichita State’s Center for Real Estate. Northrock’s closing leaves Warren Theatres as the sole Wichita movie operation, other than the Starlite Drive-In. Nonetheless, Warren Theatres owner Bill Warren said the Northrock closing has no bearing on his business plans. Editor’s note: A previous version of this story had an incorrect date of Northrock 14’s opening. Once the east side’s premier movie theater, Northrock 14 will close, following a decision by its owner Dickinson Theatres to file for Chapter 11 bankruptcy. The Overland Park-based Dickinson is trying to reorganize to save the company, but has petitioned the bankruptcy court to allow it to break the lease on the Northrock 14 building and close the business down. If the court grants the request, the company could be out of there within 30 to 60 days, said attorney Sharon Stolte of Stinson Morrison Hecker. Stolte said there was no clear time frame for closing Northrock 14, and that Dickinson could shut down its theater operation in Wichita at any time. Stafford said Occidental’s plan all along was to start converting the theater building into office space in 2013. “That’s the same track we’re working on,” he said. Dickinson, which filed its bankruptcy papers in Kansas City, Kan., said it had $2.2 million in assets and $7.6 million in liabilities. According to court documents, the company operates 210 screens in 18 locations in seven states. “Some of these locations are expected to be closed prior to confirmation of the (reorganization) Plan, but the remaining business operations will be stronger,” the company said in court documents. The company cited competition, fewer box office hits in recent years, and higher licensing fees from film distributors as reasons for the bankruptcy, according to court documents. The closing of Northrock 14 would signal the end of Dickinson’s long-running battle with Bill Warren for local movie-goers loyalties. Dickinson opened Northrock 6 in 1987, and instantly dominated the east-side movie scene. Warren started a few years later with the second-run Palace, then opened his own plush $10 million first-run theater at 21st and Tyler in 1996, splitting the town between east and west. In 1998 Dickinson came back with the $10 million Northrock 14, futuristically decorated in purple, pink and black with a touch of neon and a reflective ceiling. It opened to large crowds. Warren fired back by adding eight more screens at his west-side theater a year later. Dickinson’s then-owner John Hartley sought unsuccessfully to build an 18-screen theater at Maple and Maize Road in 2002, and the company’s fortunes began to dim. At the same time Warren continued to expand, opening his large east-side theater, then a downtown theater. He has continued to upgrade and expand his properties since. Northrock, during the same time, became less competitive. On Monday, Warren said he didn’t run Dickinson out of Wichita. “It has not been a well-run company for 20 years,” he said. “You can see it’s pretty obvious the customers have rejected their business model.” But Warren didn’t gloat about the departure of his once-bitter foe. My thoughts – When I ran Dickinson Theatres I would create a white paper at least 4 times a year. That paper detailed our ability to serve the patron, present a perfect show, keep the theatres clean, safe and well staffed among other things. John Hartley would receive a copy of this document along with everyone else and he hated it. The white paper was one way I could measure our effectiveness at motion picture exhibition. When I left Dickinson that all left with me. The Dickinson Theatres I could go to free (until John took my pass away) was getting run-down, dirty, poorly staffed and etc. I started going to AMC. What a pitiful statement on the operation of Dickinson Theatres. The last family member to be involved with Dickinson won’t even go to a theatre with his name on it. I felt John hated the “Dickinson” brand and would have dumped the name if he could have. I wish he had. I still get asked if I’m involved with Dickinson and I’m very quick to reply NO! So here I am 13 years out from my sale of the company and Dickinson’s 1st bankruptcy and two of the most wonderful theatres I ever built, and attended are gone. The SouthGlen 12 and Northrock 14. I told John (and this upset him) that the chances of a company making it after bankruptcy declines with each year. I told him he wouldn’t make it 20 years. He didn’t. Scars of war I guess. Show business is truly like no business I know. Today’s crop of exhibitors know nothing about showmanship. Frankly, the film companies don’t either.